Twelve Days of Christmas and Twelve Days of Hats!!! We showed a few hats and fun things to wear to your holiday parties yesterday, yet we have so many more styles that we thought it was best to do another blog entry solely on HATS!! In fact, we’ve got more than enough hats that you could wear a different one on each of the 12 days of Christmas! If you don’t really care for the lights and yet you want some bling to your Santa topper, this next one may just do the trick! 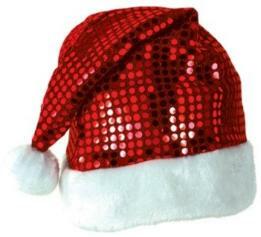 For those of you want to have a jolly good time at your party this next hat is a must! 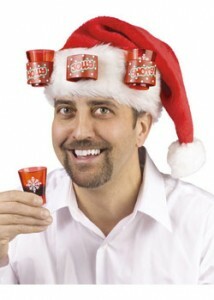 This hat comes with three shot glasses that fit right into the front cuff of the hat. All that’s needed is a bottle of your favourite spirit to make your hat complete! 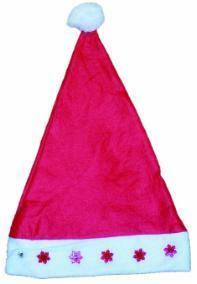 For those of you who say “Bah Hambug!” to Christmas and all of the parties, meals, gifts and good cheer, we’ve got a hat for you too. Or, perhaps you just want to pick one of these up as a gift for that particular Scrooge in your life! 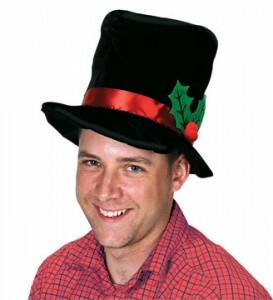 It’s a black felt hat with white trim, etched with the phrase “Bah Humbug” in black letters on the white trim. While this next item isn’t a hat, it’s a great gift idea to pick up in case you have friends or office co-workers that have been naughty this year or just can’t get into the spirit. We all know Santa gives coal to those who show up on his naughty list. 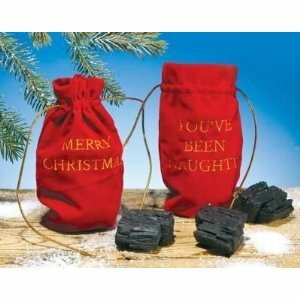 Why not help Santa out and give out some of your own lumps of coal? It’s not just Santa that gets to be center stage at Christmas! Not everyone wants to dress up as Santa this year. 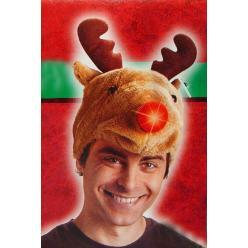 Some of you may just be looking for a fun hat, or even the antithesis of Santa….The Grinch! 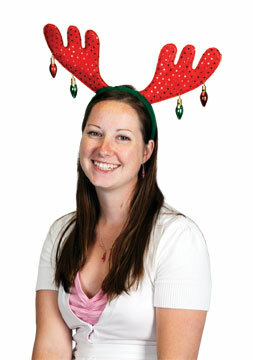 We’ve got Christmas accessories to give you all kinds of options for your dress this Christmas season. 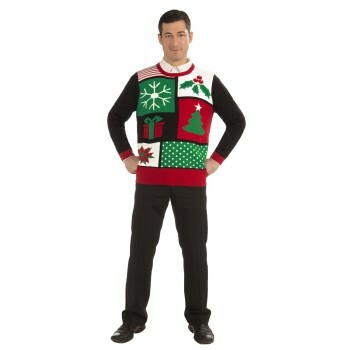 McCulloch’s strives to cater to everyone’s needs and likes, and Christmas is no exception. Everyone probably knows someone who doesn’t care to get into the Christmas spirit, so why not put on one of these costumes and head over to their house for a few good laughs? We know there are a lot of folks dressing as Santa this year, and one thing we all know Santa needs are helpers. You can pick up one of these and be give Santa a helping hand! Santa always treats his elves well, so you may even find something extra special under your tree. 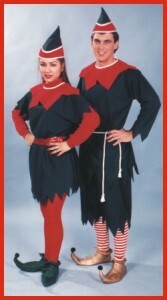 Elf Costume-available in Male or Female version and complete as shown in picture. Elf shoes sold separately. 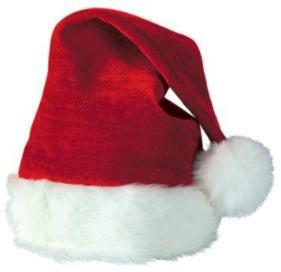 For those of you who just want something quick on the go to throw on, we’ve got Santa hats as well as funny holiday hats. 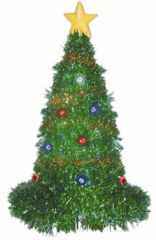 Why not be the best guest ever and bring a Christmas tree to your friends’ or relatives’ dinner this year? 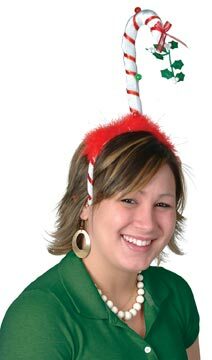 Light-Up Christmas Tree Hat. Star and ornaments blink on and off just like a real Christmas Tree! Now we can’t forget the carolers can we? Christmas Caroling has been a wonderful tradition for years and it’s one that always puts a smile on everyone’s face. Even the grouchiest of Grinch’s can’t help but smile and feel good when listening to a group singing traditional songs outside of their homes! Pick up one of these for your next outing! These are only a few of the great accessories we have to offer at McCulloch’s, and we’re getting more styles in every week! Come to the store and try them on, or vist our online catalogue to see all of the great ways we can dress you up this holiday season! Even Santa needs the finishing touch! 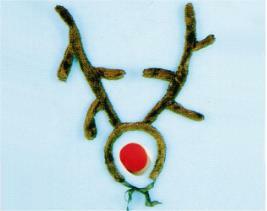 What do red suspenders, white gloves, jingle bell straps, and round or small rectangle glasses have in common? You will see them on Santa Clause! 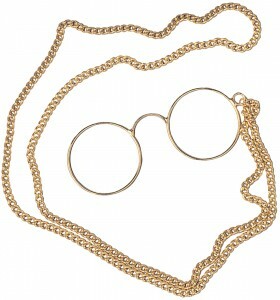 Round brass Piz Nez with chain. Perfect for the elegant Santa look!Brass colored rectangle wired glasses. These are another great alternative look for Santa! Perch this next pair at the end of your nose and look lovingly into the eyes of the children around you and they will see the magic of Santa for sure! 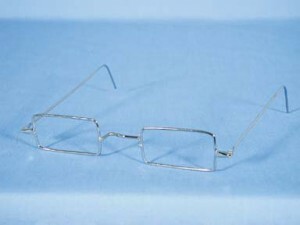 Brass colored rectangle wired glasses. These are another great alternative for that perfect Santa look! Let’s face it. Santa has a large, portly belly. When one is blessed with the jolly belly one is also cursed with the difficulty of keeping up their pants! Pick up a set of heavy duty suspenders to ensure Santa won’t get caught with his pants down! Santa works with his hands placing all of those gifts under the trees and eating cookies that the children leave for him. 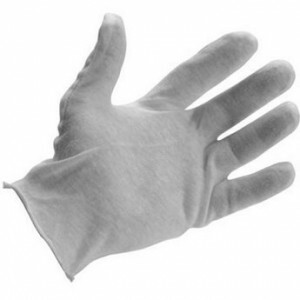 Ever notice how his gloves are always clean and white? He may have some magical powers to keep his gloves clean, but we haven’t figured out his secret yet. 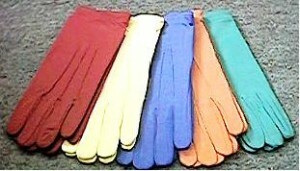 Instead, we’ve got a huge stock of gloves so you may want to grab yourself a few pair just to be safe! Last but not least, Santa can’t forget his Jingle Bells! It is thought by some that Santa rings these bells not only when he is in his sleigh flying away from homes he’s just visited, but he also rings them in a magical way to alert his reindeer so they are ready to go to the next neighborhood. 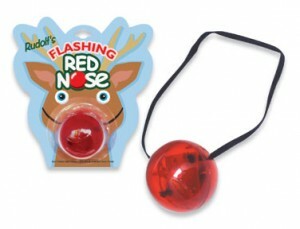 Are you sure you want to be a Santa this year and not have your jingle bells ready?? You may end up finding yourself stranded if you don’t have them with you! 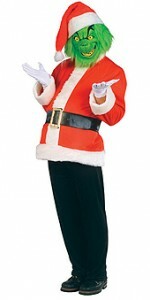 Whatever your need for your Santa look this year, McCulloch’s is your one-stop Santa shop. Come in to the store today or check out our online catalogue to look at everything else in our inventory to make Christmas a success this year! We all know Santa in his red suit with white fur trim, but there are other crucial things one needs in order to pull off this look-alike and be successful. McCulloch’s is your one-stop Santa shop and we can take care of all of your Santa needs long after you’ve found the perfect suit. Santa can’t go barefoot in the snow can he? No way. 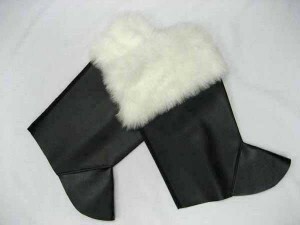 Santa needs a nice black boot with the tops lined in white fur. We’ve got them! Perhaps you already have a pair of boots or comfortable boots that you want to wear but they just aren’t the right look. Why not get a boot spat to put over your existing shoes or boots? Then you will look just like you have a pair of boots on and only you will know that you don’t. 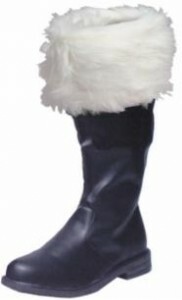 Santa Boot Tops for only $29.99 Have the look of Santa with the feel of your own shoes! 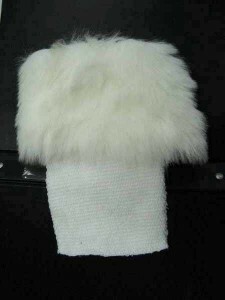 Your other option is if you have a black set of boots but only need the white fur trim. Again, we can take care of this for you too! Boot Cuff- just tuck the bottom parts of these cuffs right into your own boot tops and voila! You look like you’ve got Santa’s boots on. 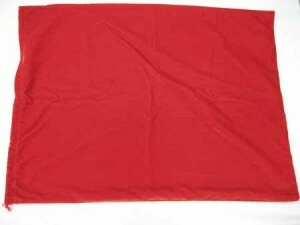 at 26″ x 36″ this bag will hold a lot of packages! Whatever you need to get you Santa on, McCulloch’s can help you out. Come into the store, or visit our online catalogue and check out our other accessories that can help you get the perfect Santa look this year! Even Santa has a good hair day at McCulloch’s! Having the perfect suit is important when dressing as Santa Clause, but even more important is having the right hair and beard! Kids love Santa’s beard, and we’ve got a lot of hair and beard sets to ensure the kids coming running your way. This beard is great looking for a great price of only $49.99. However if you are looking to be Santa for more than just a few dates, you may want to try one of our beard sets made out of Kanekalon. Kanekalon is the world’s finest fiber for creating exceptionally beautiful wigs, hair pieces, extensions, braids and beards. Kanekalon hair pieces are flame-retardant, easy to comb and care for. 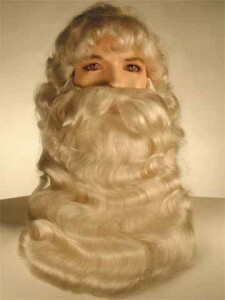 These wigs can be washed, brushed and re-curled so that your Santa look is always fresh! 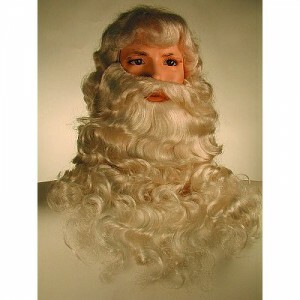 Fabulous white Kanekalon wig and beard set with chin-cupped thick beard. Wired handlebar mustache. $79. Beautiful Kanekalon wig and beard set with chin-cupped beard similar to 600-001 but with a thicker beard and a skin topped wig and handlebar mustache. $89. This next one is so beautiful and realistic looking you may just decide to wear it every day of the year! This is the nicest Santa set of this type!! 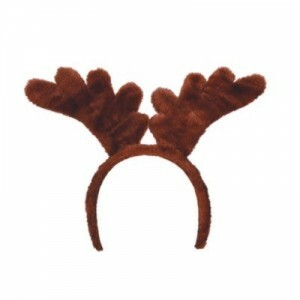 So come in the store and try one of these on and start your Ho! Ho! Ho! One of our dedicated and knowledgable sales associates will be sure to make sure you get everything you need. If you’ve got a wig and beard set already and you’re wondering if it can be cleaned and brought back to life, bring it in! Our rental department provides a cleaning and styling service for a nominal fee for all of you Santa’s out there who don’t want all of the fuss of curling and styling! Santa is in the house! This deluxe red pile plush suit with plush trim comes with a zippered coat, pants, hat, belt, vinyl boot tops with pile cuffs and knit gloves starting at just $129.99! Some of you may prefer a velveteen look, so why not try this one? 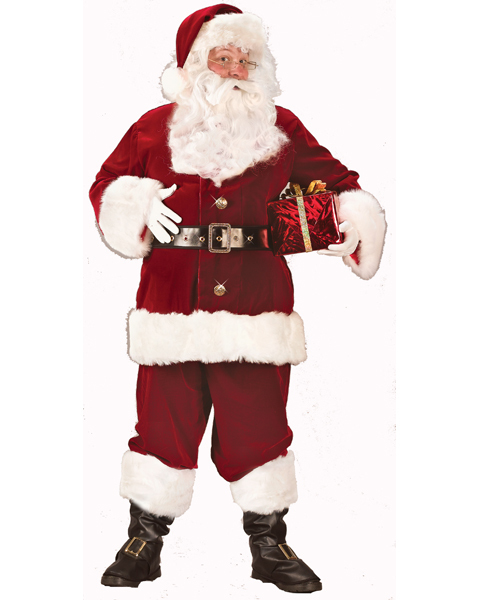 Velvet Santa Suit available in L, XL, XXL, and XXXL which takes care of chest sizes 42″ to 72″!! Price for this beauty starts at $369.99!! 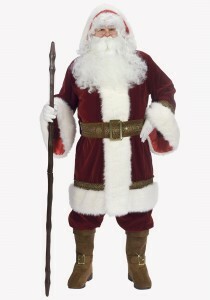 Velvet Santa Suit available in L, XL, XXL, and XXXL which takes care of chest sizes 42" to 72"!! We’ve got two new suits to offer this year that will give you just a little bit of a different look that will set you apart from the other Santa’s out there. One is our Deluxe Crimson Santa Suit trimmed with rich faux rabbit fur, fully lined with satin and features decorative brass buttons on the jacket with a zipper enclosure. Jacket also has an inside front pocket, belt loops, and the pants have side pockets. 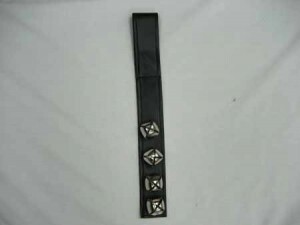 This set also comes with a decorative brass buckled belt, boot tops with buckles, hat and snap closure gloves. A quality suit like this starts at $399.99!! 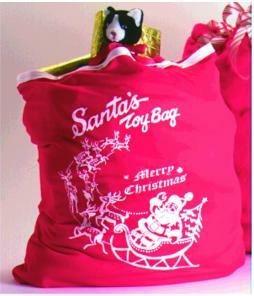 Another new one this year is our Deluxe Old Time Santa. This gorgeous suit is trimmed with old world embroidered accents and faux rabbit fur trim. Included is a hooded velvet 3/4 length coat with full satin lining, front zipper closure, snaps, bell sleeves and belt loops. Also included are velvet pants, faux suede buckled boot tops, embroidered matching belt and snap closure gloves for a base price of $549.99! 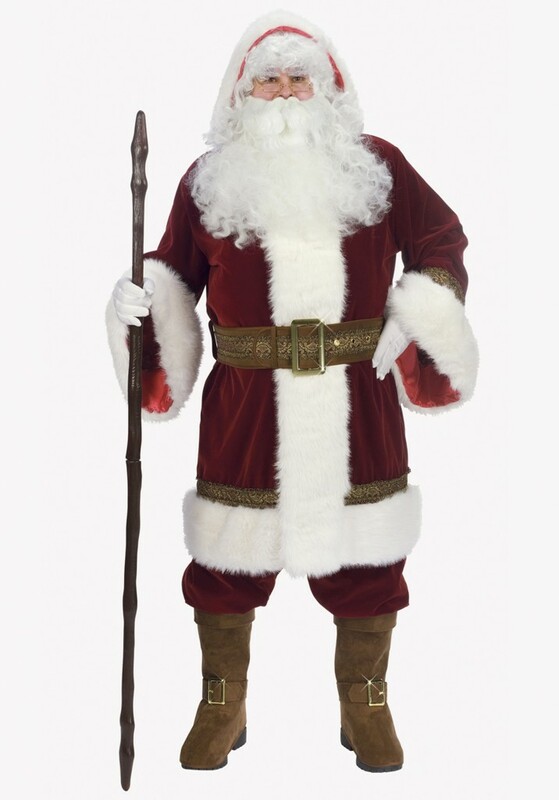 We’ve also got the Majestic Santa Suit, which touts deluxe burgundy pile plush with white long hair plush trim and satin lining. It too has a zipper coat with inside pocket, pants with side pocket, hat, naugahyde bound belt and boot tops with long hair plush cuffs and knit gloves. This suit is a definite head turner and is simply stunning! You have to come try this one on! We all know that Santa would be lost without Mrs. Clause so we’ve got everything to outfit you in her look too! This rich and classy outfit comes with a long velvet dress trimmed in rich faux rabbit fur, satin apron with pocket brocade and faux rabbit fur trim! Velvet Mrs. Clause available in S/M and M/L sizes as well as plus size starting at $299.99! 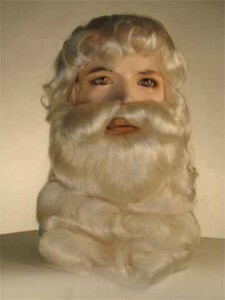 To top off all of these looks you may need a wig and beard set, and we’ve got a great selection of these as well! Tune in for tomorrows post and we’ll show you a few, or head over to our online catalogue now to start your wish list!